Affiliate recruitment is always one of the most important part of program management. Without the right partnerships, your program will not succeed. 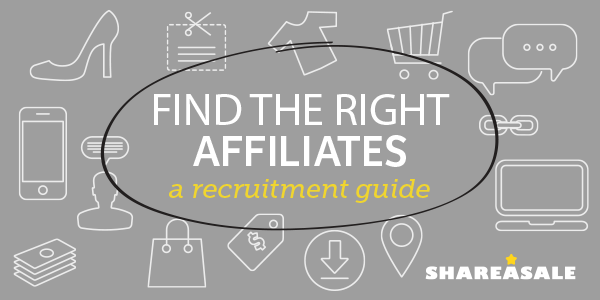 That’s why recruitment happens routinely, daily even because finding the right partners can make or break a retailer’s entire affiliate channel. All too often brands look at the sheer number of affiliate partners they can reach out to instead of taking the time to hand select their invitees. The quality over quantity rule is more than ever true in this circumstance. One additional highly influential blogger can make a huge difference. Retailers have to be very strategic about who they reach out to and who they try and recruit into their program. Since it is often seen as a form of spam, sending mass emails is not an effective recruitment strategy and can actually hurt your brand more than help. This is especially true while using the ShareASale recruitment tool. To protect our affiliates from spammy messages and to encourage our merchants to be thoughtful and intentional when recruiting, the tool limits the number of invitations sent each month. If your invitation is accepted, we will give you 2 invitations back, so make your invitations count! 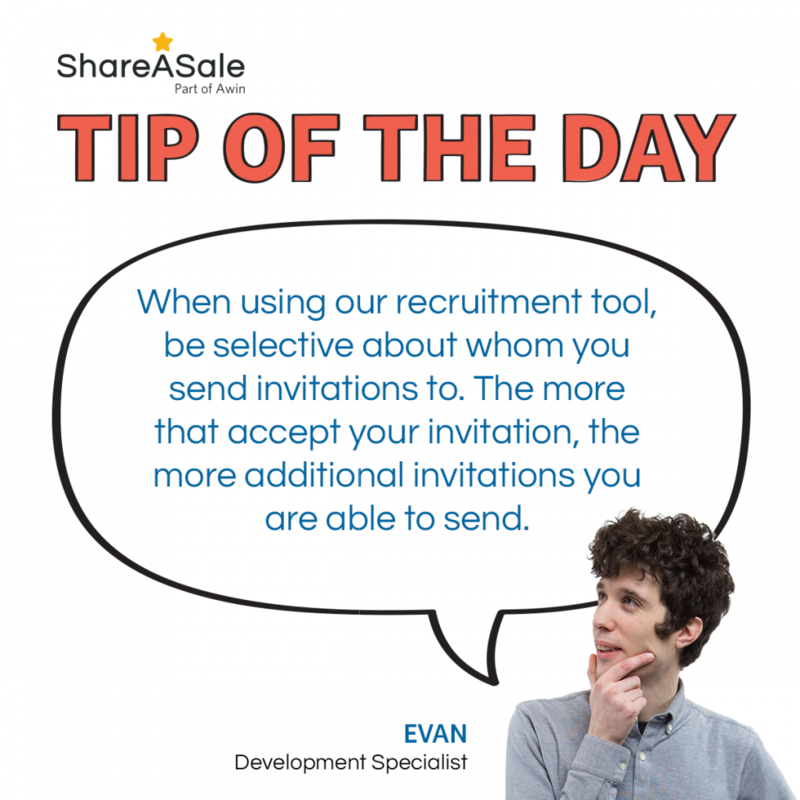 Make it personal: Affiliates are much more likely to respond positively if your invitation is personal to them. They want to know that you’ve done your homework, found them to be a good fit for your brand or product, and that you want to work with them, specifically. Make them feel special by crafting a personalized message. Share your program: This is your time to shine, tell them what makes your program special. Give them the best first impression possible by explaining why you think you’d be a good fit for their audience and how they could easily make money by promoting your brand. Tell them what other affiliates think of your program. Provide an incentive: We’ve found that affiliates respond more favorably to invitations that include an incentive or welcome bonus after joining. That’s why our recruitment tool requires an incentive of your choosing. The added gift and sense of urgency that this incentive creates helps keep your program top of their mind and top of their promotional calendar. As with all marketing, keep track of your recruitment strategy and find what works for your budget and your program. There will always be opportunities to make changes based on responses, but hopefully these three tips will help guide you to a successful recruitment efforts. Affiliate recruitment is one of the most important aspects that will contribute to the growth and success of a Merchant Program. Success comes not with how many Affiliates you can recruit, but with how many quality Affiliates you build a relationship with. 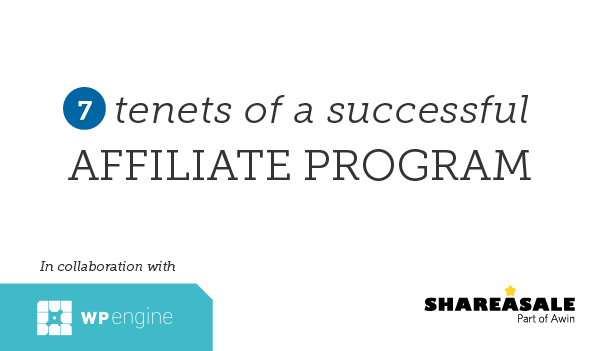 ShareASale is always looking to highlight programs that are successful on our Network and within the Affiliate Channel. One of our long-time Merchants, WP Engine, which was named the 2017 “Best Merchant of the year” by Affiliate Summit’s Pinnacle Awards, has turned its unique approach to the channel into solid and steady growth. 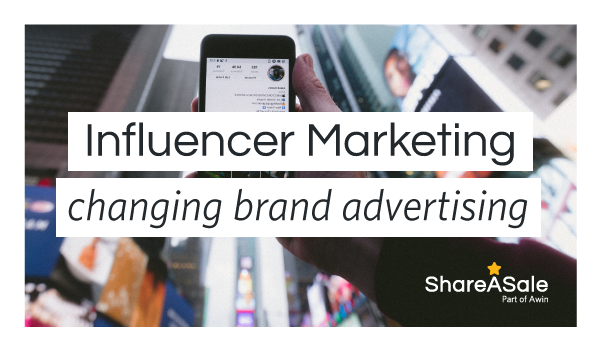 Influencer marketing is the new king on the block. It seems everyone is talking about it, and the effect it has on marketing. During 2017 it was a popular form of marketing and this trend seems set to continue throughout 2018.